It is not easy to gather all the necessary information about your first internship abroad. If you are still not sure if you should take one, check here. 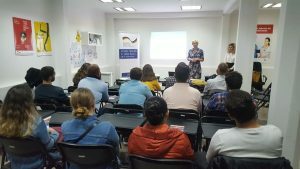 Internship Programme of German Business exists for sixteen years now. Each year, we receive several hundreds of applications more than in the previous round. So, choosing the best candidates is not always an easy task. However, there is one thing that is easy to notice among all those applications. It’s the difference between the candidates that researched a bit about the Programme and those who didn’t. Think about it. Your goal is to convince the programme selection committee that you would be a perfect intern, capable of solving problems and learning quickly. How do you plan to achieve this if you haven’t read their website? To avoid some of the common mistakes, read our honest advice on what you should know before applying. Be sure that you understand the goal of the programme. Although your working experiences in CV stays the same, the way you present them can differ. You should adapt your approach to the desired position. Getting a job in a corporation doesn’t look the same as getting one in a small, NGO team. The same goes for internship programmes. Can this programme support your career? How? Does this programme offer some unique networking possibility? How does the programme team see its scholarship holders after the programme? These points are important. Unfortunately, many candidates oversee them. Avoid the mistake of proudly stating that you would like to work in a sector that is not even covered by the programme. You should know the basics of the programme. If the basic idea of the programmes sounds appealing to you, it is time to get into specific details. You shouldn’t attend the interview without knowing these facts. Who founded the internship programme, when and why? Who can apply? Do you meet all the criteria? Be aware of the participating countries – is it only yours or more of them? Which companies are offering internship positions? Is there a company among those that you prefer? Why? If you have a technical question, ask the programme team directly. Perhaps some parts of the selection process are not completely clear, or you want to know more about the required documentation. Talk to the former scholarship holders. A valuable insight into internship experience can be a simple conversation with the person that already went through it. This is especially the case if they completed the same field of studies as you did. Try to find them through the website of the programme and ask them about their adventure. If you cannot get in contact with someone, check the social media of the institution. They usually post videos and stories about their interns. 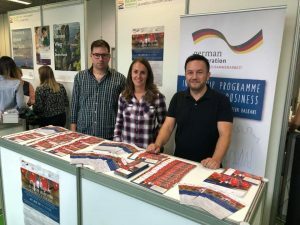 Internship Programme of German Business has a blog section on the website, where you can read internship stories written by our alumni from different cities and generations. We hope that these points will help you to prepare yourself before you apply for the internship abroad. Inform yourself in advance about the goals of the programme, the background and the criteria you should meet. If it is possible, read about the experiences written by the alumni of the programme.